America has always been known as a “melting pot,” comprised of people of various backgrounds, cultures, religions, and ethnicities. As our culture has become more diverse, marriages between individuals with ties to other countries are now commonplace. The groom may be a second-generation American citizen whose parents immigrated to the United States from Asia; the bride may be studying the United States on a student visa while her family remains in Europe. As the couple lives, grows, and has children together, the couple typically exposes one another, their separate families, and their children to their diverse cultures. prospect exists: What if one spouse attempts to take the child or children from the U.S. and to another country? What if the former groom decides to take the couple’s daughter back to his home country of Japan? What if the former bride chooses to take her son and fly back to her parents’ home in Poland? If this happens to you, you may feel lost and hopeless, not knowing what – if anything – you can do to bring your child back. If the child has a valid passport, a court has no authority to revoke or suspend that passport. In other words, you cannot ask the court to revoke or suspend the child’s passport as the court would not have the ability to make such orders. Furthermore, there is no real method by which border authorities can be alerted if an ex-spouse attempts to travel out of the country with the child if that child has a valid passport. Valid passports entitle the holders to travel outside the United States to other countries. One step that concerned parents may take if they fear their ex-spouse may try to remove the child from the United States is to file a petition with the court, asking the court to order the child’s passport surrendered to the court for safekeeping. Once this is done, if either parent wants to retrieve the passport, he or she would need to file a request with the court asking to have the passport returned. The court may inquire of the parent requesting the return of the passport what his or her intentions are prior to returning the passport. Before a court is likely to order a child’s passport surrendered, however, it will likely require some evidence showing that the removal of the child from the United States is something more than a remote possibility. For instance, the mere fact that your ex-spouse has ties or connections with another country will not, by itself, be enough to support a petition seeking the surrender of the child’s passport. But suppose that your ex-spouse has threatened to take the child out of the country in voicemails, e-mails, or text messages. Or suppose that you have evidence of an impending removal, such as receipts of plane tickets for your ex-spouse and child or statements from your child that the other parent is taking her on a “long trip” somewhere. If the threat of removal is more than just a possibility but is likely to happen without the court’s intervention, then the chances of having the court order the child’s passport surrendered are greater. The parents of children who do not have passports have a few other options to help prevent the removal of their child from the United States without their permission. While either parent can apply to get a U.S. passport for their child, the Two Parent Consent Law enacted in 2001 requires that, in most instances, both parents consent to the issuance of a passport for children under fourteen. If one parent applies for a U.S. passport for his or her young child and that parent does not have the consent of the other parent, then no passport will be issued for the child unless: (1) the applying parent has court documents showing he or she has sole custody of the child; (2) the applying parent has an order from a court of competent jurisdiction allowing him or her to travel out of the country with the child; (3) the applying parent has documentation showing that the other parent’s rights were terminated in a court proceeding; (4) the applying parent demonstrates and swears under oath that the other parent cannot be located; or (5) the applying parent demonstrates that there is a sudden and strong humanitarian reason relating to the child that supporting the application. So, in most cases where a child does not have a valid passport, removal of the child from the U.S. can be prevented. If the worst scenario materializes and the child is removed from the U.S. without your permission, do not give up hope. There are still options you can pursue. For instance, depending on what country to which the child was taken, the provisions of the Hague Convention of 1980 may be able to assist you. The Hague Convention is an agreement between the United States and a number of other countries that sets standards and procedures to be followed in the case of a child who is “wrongfully removed or retained” in another member country. If your child has been removed to a country that has signed the Hague Convention, under the Convention the member country in which the child is found is to return the child to the country in which the child habitually resided prior to the child’s removal or retention. In doing so, the country in which the child was found does not consider or enter any orders regarding custody; rather, it returns the child to the country of habitual residence so that that country may enter appropriate custody orders. This process is to be accomplished swiftly and expeditiously, although the precise procedures used are left up to the individual countries. The U.S. Department of State is available to assist parents whose children have either been abducted from the U.S. or abducted to the U.S. from a foreign country. While the State Department can provide information, assistance, resources, and contacts, it is generally advisable to speak with an attorney experienced in international child abductions. There are 195 countries in the world; over 100 of them have not signed the Hague Convention. Even so, there may be steps or remedies available to you in that particular country. Because of the complex nature of many countries’ laws, it is extremely important to seek out the assistance of an attorney who is either familiar with the laws of the country in which your child was located or who resides and practices in that country. Again, the U.S. Department of State can assist by providing information, resources, and contacts, including the names of attorneys that practice in the country in which your child was located. However, the assistance of an experienced international child abduction attorney is highly recommended. What If I Don’t Know Where My Child Was Taken? U.S. Embassies and consulates can be of assistance if you can provide detailed information about your child and your ex-spouse. Contacting embassies and consulates in specific countries will help confirm or rule out if your child is in that particular country. If you fear that your child may be removed from the country by your ex-spouse, the sooner you take action the better chance you have at preventing this from happening. Getting to know your spouse and his or her family (such as where they live, how to reach them, etc.) can be valuable information to law enforcement in the event your ex-spouse abducts your child. Express any concerns of removal or abduction to your attorney and advise him or her of any facts that suggest a removal is imminent. If your child does not have a passport, do not consent to the issuance of a passport. Also, be sure to sign up to receive alerts in the event your ex-spouse attempts to apply for a passport for your child. If your child is suddenly removed, prompt action will increase the likelihood of your child being located and returned. 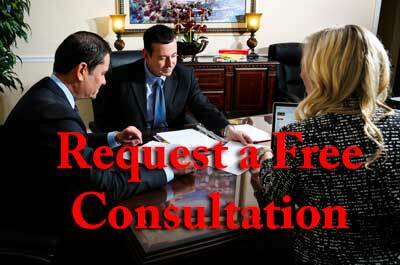 In all cases, you should contact your attorney as well as the U.S. Department of State. Provide as much information about your child and ex-spouse as possible, including where they are located (if you know) or where you believe they may be located. Your Ayo and Iken attorney will help in this process by ensuring all relevant agencies have received information about the abduction, following-up with these agencies and receiving case updates, filing any motions, petitions, or applications that are necessary, and handling any questions various agencies may have as they investigate your case.